Wieslaw Ochman Interview with Bruce Duffie . . . . . . . . 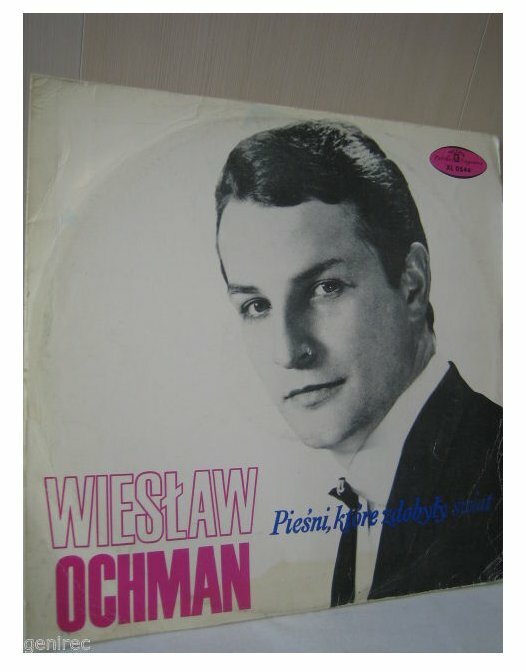 Since the times of Jan Kiepura, Wiesław Ochman has been the first truly world-famous Polish tenor. Born in Warsaw in 1937, he first had the ambition to become a painter, before turning instead to vocal studies. In 1960 he joined the Silesian State Opera and for three seasons undertook a number of major parts there, while continuing his vocal training with Maria Szłapak. In the autumn of 1963 he moved to the opera house in Kraków, but a year later returned to his home city of Warsaw, where the Teatr Wielki was about to be reopened after rebuilding. His performance as Jontek in Moniuszko’s Halka, together with three other productions for the 1965 grand opening of the theatre, became the turning-point in his career. In the same season he also won success singing the title rôle in Faust. This resulted in an invitation to the Berlin State Opera, where he sang the part of Turiddu in Cavalleria rusticana in January 1967, followed by appearances in Munich and Hamburg. At Glyndebourne he sang Lensky in Eugene Onegin, then Tamino in Die Zauberflöte, appeared in Salzburg and, something hitherto unheard of for a Polish tenor, gained international fame as an excellent interpreter of Mozart. In particular he became a much sought-after performer for the rôle of Ottavio in Don Giovanni, and the title rôle in Idomeneo. 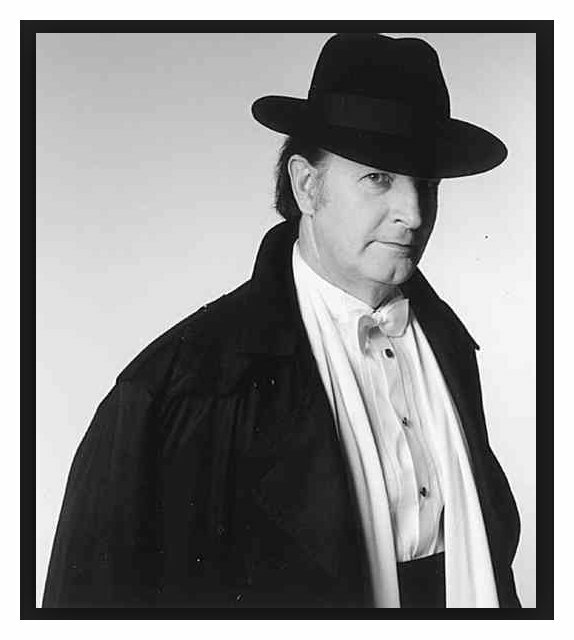 In 1972 he appeared at the Paris Opéra, and in the United States, making his début at the Metropolitan Opera in New York in 1975 as Arrigo in Verdi’s I vespri siciliani, and going on later to appear there in Eugene Onegin, Boris Godunov and Khovanshchina. Meanwhile in 1982 he had made his début at La Scala, Milan, under Claudio Abbado. 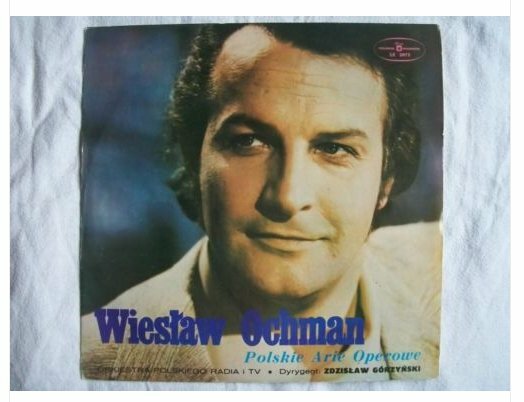 The recipient of various official awards in Poland, Wiesław Ochman has an extensive repertoire both in opera and in oratorio. 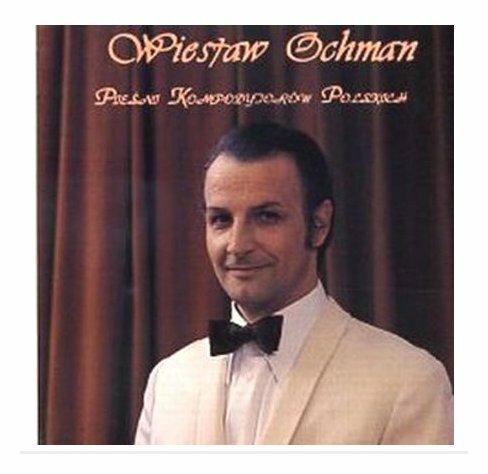 He has the largest number of recordings to his credit among all the Polish singers, both from the present and from earlier generations. 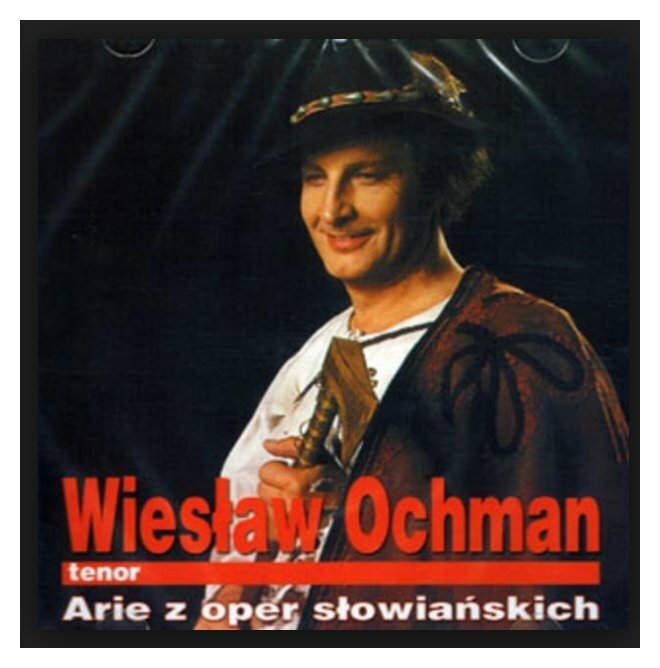 Besides the awards and honors listed above and below, Ochman won the Gold Medal from the American Institute of Polish Culture in 2005. It was during the run of Boris that we had a chance to speak about many things. His English was quite good, though it was filled with small grammatical mistakes and some odd-sounding word order. Most of these have been gently corrected here, but a few things have been left in when they don’t interrupt the flow of his thoughts. He was always upbeat and genuinely bubbly when talking of anything Polish. It was a joy and an honor to have him in the studio. Bruce Duffie: So, how do you like Chicago? 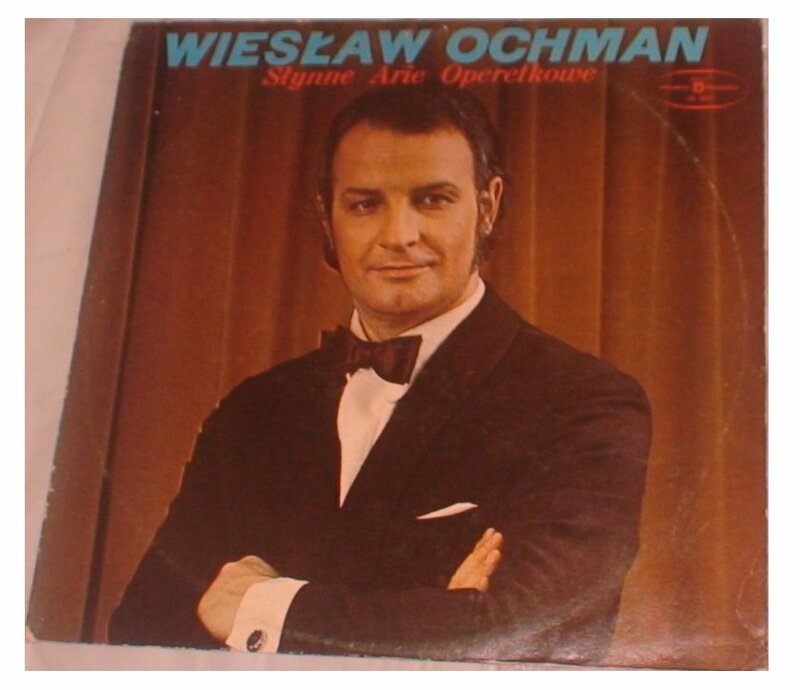 Wiesław Ochman: Oh, I like very much, because, I don’t know if you know that this, Chicago is the second biggest Polish city in the world. WO: Warsaw is about one million three hundred thousand, and here the population is about one million Polish, or something like that. BD: I’m surprised they didn’t give you a parade down State Street! WO: I like very much Chicago, not only for this reason, but it was the first theater which invited me to the United States. BD: For your American debut? WO: Yes, my American debut. Not only for this reason also, but I think Chicago is a kind city, really an American one. I like very much this architecture. This is different than New York or San Francisco. Here is a little bit older architecture together with very modern, and I like this very much. The downtown is very beautiful. And I must tell that the Chicago Lyric Opera is really a top theater. I like very much. Very professional. For example, Boris Godunov has plenty of problems every time with the chorus. For me, it was really surprising that the chorus here had very good studying of Russian, and they’re singing really marvelous. We were all happy because we have Bartoletti, which helped us, because the opera is very difficult. It’s not exactly a typical Italian opera. BD: No, not really. The last time we had Boris here was in 1966. Since then, we’ve had Khovanshchina twice. WO: Oh, yeah? Khovanshchina is a very good opera. We’re just going to do now in La Scala next February and March. WO: No, no, this will be Mr. Rudzińsky, the conductor from Moscow. BD: Tell me just a little bit about the Boris. Do you prefer doing the original version or the Rimsky-Korsakov? WO: I have the pleasure to participate in three different productions of Boris Godunov. The first one was in Hamburg State Opera and the producer was Mr. John Dexter. WO: Yes, it was in German. It’s a different opera if you sung it in German, you know. BD: Yes. I’ve heard some tapes of it in German and it’s quite different. WO: Yes, quite different, like Lohengrin in Italian. [Both laugh] It’s sometimes funny. But we have a very good Shostakovich version. It was very heavy for the orchestra, but I think that it was more dramatic. I like very much Mussorgsky, because I think the composer knows better what he’s doing to show and to say to the music. Shostakovich was thinking more of the orchestra line than the soloists and singing. The Shostakovich is very strong. BD: The Rimsky version is very, very heavy, and very, very colorful. WO: Oh, I think the Shostakovich is more. This is very good orchestration, but they need very good voices to come through the orchestra sound. We had very good conducting, Mr. Horst Stein. Second was Shostakovich version also, in the production of Mr. Losey in Paris Opera. This performance was a subject of discussion of all the critics and the public. It was really war with the public. For me it was surprising that the public will see really Russian on the stage. Mr. Losey has, I think, the very good conception. He said, “I am going to show a problem of human beings, a problem of power like Hamlet or Macbeth and others.” That was very good. That was another kind of opera performance — we have the orchestra behind us; we’re just in front. We just played directly to the public, and this gives us the possibility to show all this, what we have inside. We have the connection with the maestro, a Bulgarian maestro. Mr. Ozawa was sick, and Mr. Rouslan Raichev was conducting. We watched him through five or six TV sets that only we could see. The public could not see them because there was some scenery. That was a very good idea. It was very difficult. This was hard work. I used to play the Dmitry as somewhat psychopathic. I think this should be, a little bit. BD: He’s a little nuts? BD: So he’s obsessed with power? WO: Yes, because he wants to be Tsar. Of course he is very fond of Marina, because he was in cloister as a monk for about nineteen or twenty years. Then to see the girl, it would be very beautiful. Marina Mnishek, in Poland, was one of the most beautiful girls in this time! I saw one picture of Dmitry when he was very old, and I must say — I am sorry — he was terrible! [Both laugh] He was not a good looking man! After this, one knows that it was impossible that Marina Mnishek really falls in love with Dmitry. She was using him. BD: She also wants the power? WO: Yes! In this time the Polish aristocracy wanted to have somebody in Moscow because there was politics problem. In 1772, we lost our independence to the three empires of Friedrich der Große, then Joseph the Second in Austria, and finally Yekatarina the Second in Russia. Because of all this we have our culture going to keep Polish people together. I am sorry, but not many people know Moniuszko’s work, for example. He is really very good composer. BD: Then let’s talk about Moniuszko [1819-1872]. He’s written several operas? WO: Yes. The popular ones are Halka, Straszny Dwór, that’s The Haunted Manor, Paria, and Flis which is The Raftsman. It was at that time that Moniuszko composed this opera to keep the Polish people strong. We did not gain our freedom again until 1918, so during this time all our art was working with thinking that we should have Polish art everywhere. We have very good painter, Matejko [1838-1893]. He’s a really great painter, and he was painting only the glorious story of the Polish military and the Polish people. Moniuszko every time utilized the Polish tenor. Halka is the story about a mountain girl and a country gentleman. This was very different. It was about problem of society, so he used folk music! The basis was folk music. BD: So in the works of Moniuszko touch the heart of the Polish people? WO: Yes, this is so. The Haunted Manor is really a very good opera. I like it very much. It is about two knights. After the war they say, “We never married any girls, we just stayed true to our service.” Maybe that was not a bad idea. I don’t know. [Both laugh] But The Haunted Manor is really a very good opera. In December it was given at the Bonn Opera in German. The critics said, “We are surprised that Mr. Moniuszko is not well known in West.” But I think it’s the reason that if somebody lost independence and to have to come again — as free Poland — that the first thing is to keep the people together and have a rebirth of the industry and culture. They say every time we will have it later, later, later. Someone said that if somebody has no time now for culture, we will never have very good culture. BD: So you have to make the time? WO: Yes. When we just started a little bit, there came the second war. Then in ’45, we have, again, freedom. So we started and you can see how it is with the Polish music. We have plenty of very good composers. BD: Were there other composers before Moniuszko who were known and respected? WO: It was mostly anonymous. There was Mikołaj Gomółka [c. 1535-1609? ], but it was very, very difficult for Polish composers because the Polish aristocracy was interested only in Western music, especially from Italy. We had no very good conductors or art people. It was for a long time some problem. BD: It now seems like you are building a generation of artists and composers and singers. WO: Yes! After Moniuszko we have very good composers such as Władysław Żeleński [1837-1921] who wrote many operas, and Paderewski [1860-1941] wrote Manru. This is one gypsy story. BD: Have you sung the title role in Manru? WO: Yes, I have. It is a very good opera. Żeleński wrote Janek and Goplana. These are Polish stories. It’s very difficult to have really worthy composers without help. There must be records, there must be public relations, the audience needs to know who is who, why, and have notes and scores. After the Second War we just started with this. We recorded Halka on the disc of Polish opera arias; also The Haunted Manor and Flis. We just have conception to bring all national Polish music to records. We will record King Roger by Mr. Szymanowski. We are going to do it onstage in Buenos Aires next season, and then we are going to record this for disc. BD: Do you find it’s easier to do Polish opera, as opposed to Mussorgsky or Italian operas? WO: I must say that the Polish opera, Straszny Dwór, The Haunted Manor, is very difficult to sing because there is plenty of soft passages. Moniuszko was not exactly a composer who understands many things of singing. He just wrote from heart, so it’s very difficult. He wants atmosphere. For example, the aria of Stephan. He’s alone, and the old melody while he is standing watch reminds him of his childhood years. When your mother dies, if you have something to say it is impossible to sing fortissimo. It’s very difficult, and there is a very dangerous part to it. BD: It takes lots of control? WO: Yes. When you are on the stage in The Haunted Manor, you must be thinking in the second act that there are three acts, and there will be two scenes after all of that. You really have to save control and concentration because you must show people what’s going on the stage. They must know exactly what’s going on the stage. They keep waiting to know how will we show this. It is very difficult, like Halka, also. BD: When you do Polish operas outside of Poland, what extra things do you do to make them closer to the public and get the ideas across? WO: Thinking of King Roger, for example, I play the shepherd. It must be one conception to show public that this shepherd is a very important man. He comes not from this herd, but is like Jesus Christ. So if the public doesn’t understand words, then I am going to use some kind of action that is more strong than normal. My acting is going to be more colorful, with big gestures. Through this I want to show my contact with other people on the stage, because it is very difficult. We had great success with The Haunted Manor in Bonn, because it was in German. BD: In order to get these operas known outside of Poland, do you think they should be done in translation? WO: At the very beginning of my career I agreed they should be in translation. After awhile I sing every opera in its original text. It’s better to give the public the possibility to hear an original version. I’m sure if Boris Godunov here in Chicago would be in English, the public would not be happy. That would be like a copy, not the original. If you see Renoir or the American Mary Cassatt, for example, the original picture it’s marvelous. After you take the picture and go into the lab, maybe you have at home a reproduction. It’s every time a reproduction. It’s not as good. It’s not this power inside. BD: It doesn’t have the soul? WO: Yes, of course! Of course. BD: They tried doing Boris in English at the Metropolitan for several years in the ’50s and ‘60s, and now they’ve gone back to doing it in Russian. WO: It is a better idea to do it in the original because the words in opera go together with the sound. BD: Maybe with a new opera for a first time it could be translated? WO: For the first time to show the public what the story is. But now the public is very educated. BD: Do you think that recordings help to educate the public? WO: Of course. I am sure that now that there’s plenty of recordings, many people, every lover of the opera have some singers they love. That’s a very good idea, because this is the way to study opera. If you have no recording, that’s terrible. Think of the radio, for example, you! The other day I heard this marvelous work on the classical station, and it’s really, really beautiful! The public says sometimes, “Okay, I don’t like the Mozart. I prefer pop music.” But if you show very good Mozart, they can hear it. My son likes very much the Smokies, the Pink Floyd, and the other kinds, but, he is very fond of Mozart, too. BD: Does he enjoy seeing your performances? WO: Yes, of course. They come to every performance and he says, “That was good. This music is very beautiful.” We had in Salzburg, for example, Salome with Karajan, and my son was surprising. He said, “This is beautiful music!” If you ask somebody from Italy, for example, what is Strauss, he’d say, “No, this is terrible! This sound is terrible. I prefer Verdi.” But for a new generation, Strauss is just normal. BD: It hits close to home. BD: Where is music going now — Polish music, especially, and who are the young composers that are writing operas today? BD: Have you seen Paradise Lost? WP: Yes, I saw it in Warsaw with a German opera company. It was a really big success. It was sung in German, and they thanked Chicago. The first time I was here, in’72, Mr. Bartoletti asked me if I knew the address of Penderecki, because the first idea was here. So I gave the address, and it was just the beginning! BD: So we have you to thank for Paradise Lost! WO: No! No, without me it would be okay. For the address of Penderecki you can put, “Mr. Penderecki, Poland,” and it’s okay. BD: [Laughs] It will get there! WO: Yes, of course! Penderecki is not the only one who wrote for music theatre. We have Augustyn Bloch [1929-2006]. He wrote ballet. And of course, there are plenty of young composers, for example, Tadeusz Baird [1928-1981]. He wrote a very good opera, Tomorrow, after the novel of Joseph Conrad. This is the best; it is dramatical. This is very good. Pendrecki on the stage is not only Paradise Lost and The Devils of Loudun. We have in Warsaw, for example, the St. Luke Passion on the stage. BD: They staged the sacred passion? WO: Yes, yes. It was a very good idea. Penderecki and modern composers should be extra careful with singers. They should only sing this kind of music because this is no more human voice; this is more instrumental voice. BD: He’s writing for the voice as though it were an instrument? WO: Yes. Penderecki wrote all of his singing line not to show how beautiful voice is. Now he is doing that, maybe, but before this was necessary to show dramatic points in his works. BD: So the drama is first? WO: Yes, then after this is the voice. Not only in Penderecki, because Penderecki is really very good to sing. If you come through this very difficult path, you are going to be very happy. In Dies Irae, which I have sung many times, every time I heard the soprano go to the mountains of the tone. This is terrible! It is very difficult for the bass, too. For me it is very strong. But I prefer to cover the whole range rather than to sing only this style. You have orchestra tutti, fortissimo, and you must go through this sound. That’s very difficult, but I think we have, now, plenty of very good composers not only for opera, for dramatic style. We have really many young people. BD: Do you enjoy singing the modern works? WO: No, no. I must be truthful. I don’t like because it’s impossible to do everything. I like very much to sing Mozart. If I sing Mozart, it’s impossible to sing Penderecki at the same time. I can try to sing Verdi, and I do this. I did plenty of performances in one month, for example, of Don Giovanni and Rigoletto. But it’s impossible for me to sing one day Paradise Lost and three days later Don Giovanni. BD: You couldn’t mix the two in the same few days? WO: There should be one kind of singer which is perfect for more than one style of music. BD: So you specialize in something with a more lyric line? WO: Yes, a more lyric line. We must leave something for another singer. [Both laugh] I am sure that the man is necessary, but is not the most important thing in art. Now is really more business, sometimes, than art now. BD: Are you happy with the parts you sing? Your voice dictates what roles you must sing. For instance, you sing Don Ottavio. Is there ever a time when you would rather sing Don Giovanni or Leporello? WO: Yes, yes. I like very much, really, the Leporello part. I sing Don Ottavio in Glyndebourne Opera, and we have very good production, very interesting production with Götz Friedrich in Hamburg. After we had a discussion, I said, “Okay, I am going to sing this part, but he must be a strong man, not like this that is coming every time and singing [sings a few notes in a high voice].” That is very beautiful, but must be a real man on the stage, not one old uncle that is every time too late! Mr. Friedrich had understanding for this and really backed me up. Every time they use a tenor with a voice small because of the many coloraturas. This coloratura is very difficult, but I work hard with this and it was okay. But every time I heard the Leporello, I say that is very beautiful, part! If you will be very good at Leporello, that is big pleasure for public to have. The public comes to see him because it is all together in little Sancho Panza with a little swaggar, too. It is really this beautiful part, I think it is one of the most beautiful parts in the opera. I have also sung and recorded Idomeneo. I like that work very much because it is some cleaning for voice. It was very difficult. BD: What about earlier works? Do you enjoy Monteverdi? WO: Yes, but I never sang. I like very much the old pieces. BD: Do you want to sing Nero? BD: Do you give song recitals also? BD: Do you like those as much, or would you rather do operas? WO: I think that songs give me more possibilities of interpretation. Like a painter, a song recital is created from the beginning to end, the whole work. When this picture is at the exhibition, the people say it’s beautiful. Nobody can help this. The picture must be only the painter’s work. When I am on the stage as Cavaradossi, I have some disposition from the maestro, plenty of disposition about the stage movement from the producer, and so forth. I have a costume which is very good, good, or bad. I just try it to show and be loyal to these other people and to my partner on the stage. If I have songs, there’s only the gentleman at the piano, and I can have discussion with him. I say that I really want the song to be pianissimo because it’s this way for me. Every time, we come together and solve the problem. It’s a very good idea if some singers can sing songs. BD: When you give a recital, do you also put in some opera arias? WO: No. If I have a recital of songs, it’s only songs, and I’m going to show, every time, Polish songs. Moniuszko wrote about four hundred songs! If I think of Schubert and Schumann, they say, “Okay, we’ve heard this.” But the Polish songs, not many people have heard this. I think this must be more interesting, and I help the composer to come out there. BD: So you, as a famous tenor, take these songs and spread them around? WO: Yes. That was the idea that I was thinking what should I do if somebody says, “Could you sing a little bit of song?” I would say, “Okay, but Polish.” because I understand this better. BD: You can communicate these songs best? BD: What about non-Polish singers singing Polish opera? WO: The Haunted Manor was, I think, done one year ago in Japan. BD: Was it in Polish? WO: No, no! In Japanese. The whole cast from Japan. But we had a festival in Poland of Moniuszko’s works, and we invited one tenor and soprano from Japan. It was a really great thing because it was not only Japanese singers, they were from Romania, too, because they did The Haunted Manor in Romania. We had some people from Germany, East and West Germany. We had some from Cuba because Halka was done there. It was really very funny sometimes, because this sound was very strange. But it was all very interesting and very exacting! I think that they should be. It’s not necessary that every time it should be in Polish language. No. I understand that to help the composer come out, they should be sung in the language which the singers prefer. No problem. It was very surprising because it was TV transmission. They were on the broadcast and the people were really very happy about this. BD: In the large cities like Warsaw and Kraków, the opera season is not just Polish opera, right? I assume it’s all kinds of operas. WO: In Poland we have the Warsaw State Opera, in Łódź is an opera house, in Poznan is an opera house, also in Gdańsk, Kraków, and Bytom. The first one to open after the war was in Bytom, the Silesian Opera. The season is about ten months. BD: They do a large repertoire? WO: Yes, a large repertoire. In Warsaw we have in repertoire three ballets including Tchaikovsky, and after this we have Il Trovatore, Traviata, Cavalleria Rusticana, Pagliacci, Halka, The Haunted Manor, Tosca, and so on. Plenty of them. WO: Wagner, of course. The Flying Dutchman will be next season. WO: [Interrupting] Polish. For example, now we sang Tosca in Italian and we have Lucia de Lammermoor in Italian, in the original language. And that’s very interesting because the public just admired this. They like it in the Italian language. In December I am going to sing Cavalleria in Italian, too. Maybe some cast will sing in Polish. Why not? [Both laugh] All the cast in Tosca and Lucia di Lammermoor studied Italian and sang Italian. Carmen is, of course, in Polish because after the war we wanted to give some education to the people. It will be very difficult if somebody comes for the first time to the opera house and understands nothing. BD: So here again, it’s the same thing. You say the Polish operas, outside of Poland, should be done first in translation and then in Polish. BD: So now the international operas in Poland should be done first in Polish and then in the original. WO: Yes. We just try now to bring in the original version in the original language. It’s work. BD: You’re a great spokesman for the Polish culture. WO: I am very proud that I am Polish because we have very, very interesting arts, and it’s a really strong nation. If you think that this country for so many years lost its independence, and through this time they come with very good art, very good culture, painting, sculpture, music... that must be something! BD: It seems like there’s always this pulling, this tugging at your heart, and this is something you bring to your performances. WO: Oh, thank you. That is very kind of you. BD: Thank you so much for coming in today. I do appreciate it. WO: Thank you, and again, forgive my English. BD: Oh, it’s been very good. I was able to follow all that you said. He graduated from the Faculty of Ceramics of the University of Science and Technology in Kraków (1954-60). While studying, he started learning to sing under the tuition of Gustaw Serafin. He completed private studies under the supervision of professors Maria Szłapak, Sergiusz Nadgryzowski and Jerzy Gaczek. He debuted in Bytom in 1960 on the stage of the Silesian Opera as Edgar in Lucia di Lamermoor by Gaetano Donizzeti. In 1965 he sang the part of Jontek in Halka staged to celebrate the opening of the rebuilt Grand Theatre National Opera in Warsaw. 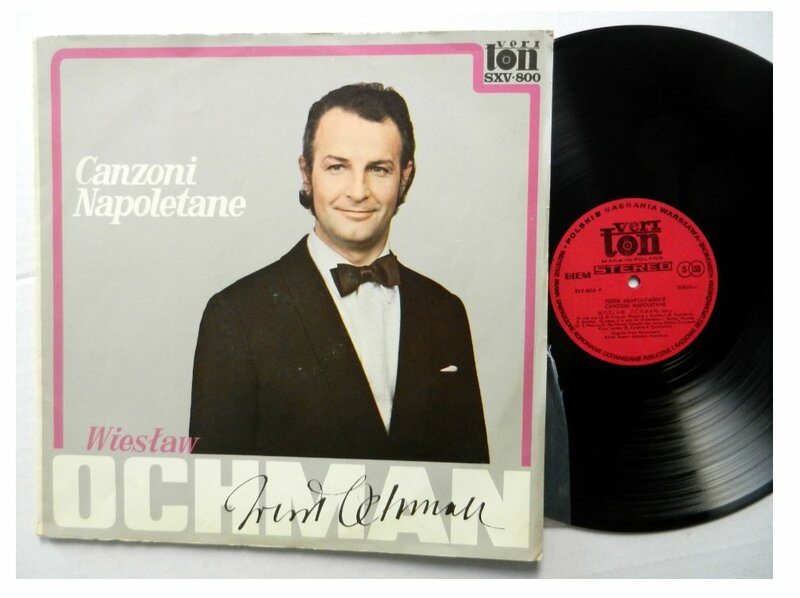 In the years 1966-68 he was a member of the Deutsche Staatsoper ensemble in Berlin and then he gave guest performances on all significant opera stages of the world: Hamburgische Staatsoper, Deutsche Oper, La Scalla in Milan, Metropolitan Opera in New York, operas in Barcelona, Paris, Geneva, Zurich, Moscow, Madrid, Chicago, Buenos Aires, Washington, Rome, Salzburg, San Francisco, Seville, Vienna, Brussels, Frankfurt, Zurich, Toulouse, Marseille, and on prestigious musical festivals such as Orange, Glydenbourne Festival Opera etc. He has given concerts on leading stages: Carnegie Hall, Wiener Musikverin, Salle Pleyel in Paris, all philharmonic concert halls in Poland. He has performed with Berlin and Vienna Philharmonikern under the baton of such distinguished conductors as Herbert von Karajan, Karl Böhm, Eugen Jochum, Leonard Bernstein, Nello Santi, Giuseppe Patane, James Levine, Charles Mackerras, Vaclav Neumann, Gert Albrecht, Christoph von Dohnany, John Pritchard, Claudio Abbado, Riccard Mutti, Rafael Kubelik as well as Polish outstanding conductors: Włodzimierz Ormicki, Krzysztof Missona, Stanisław Wisłocki, Witold Rowicki, Stefan Rachoń, Zdzisław Górzyński, Karol Stryja, Jan Krenza, Kazimierz Kord, Tadeusz Strugała, Tadeusz Serafin, Antoni Wit, Jerzy Maksymiuk and others. He acted in performances directed by most distinguished directors such as Erhard Fisher, August Everding, Goetz Friedrich, Joseph Losey, Andriej Tarkowski, Juri Ljubimov, John Dexter, Petrica Ionesco, Evald Schorm, Gian Carlo Menotti, Harry Kupfer, Jonathan Miller and others. He has made a lot of radio and album recordings of opera, symphonic and popular music for renowned record companies. 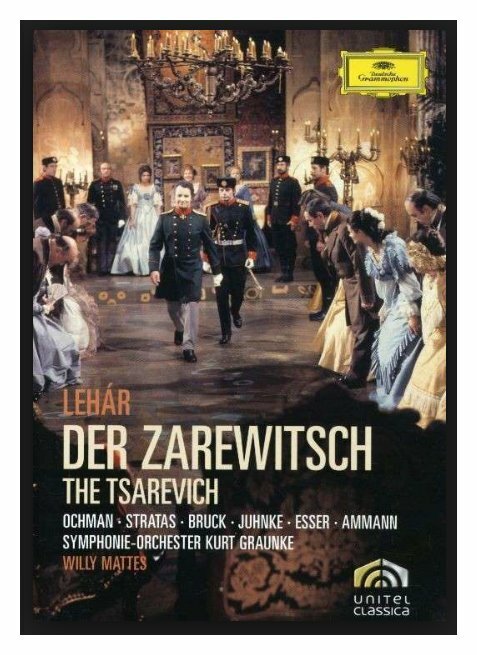 He played in film version of Tsarevich by F. Lehár (title part) [see photo above], Salome by R. Strauss (as Narraboth) and in Eugene Onegin (as Lenski). After 1999 he took up opera directing. He had more than 70 individual painting exhibitions. 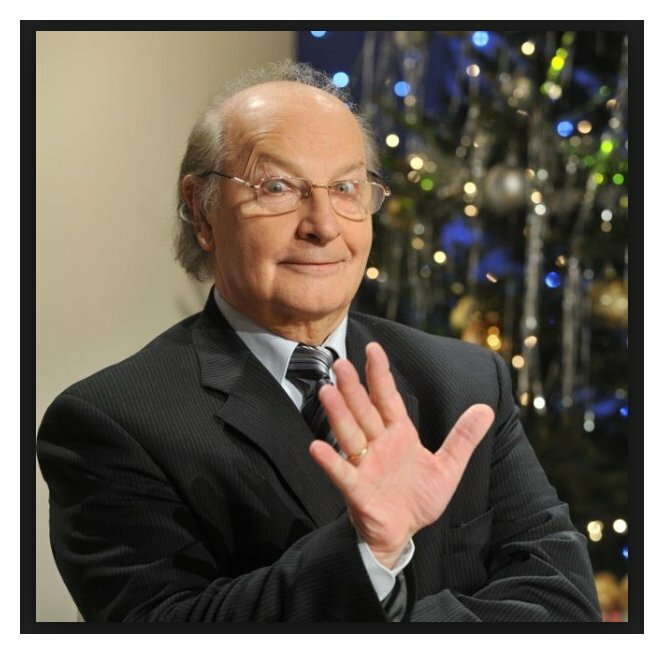 Charity has become an important element of his activity – in April 2012 he participated in 20th Gala Concert of Auxilium Foundation which supported the hospital in Zawiercie. He is the honorary resident of Zawiercie, Bytom and Zelowo. 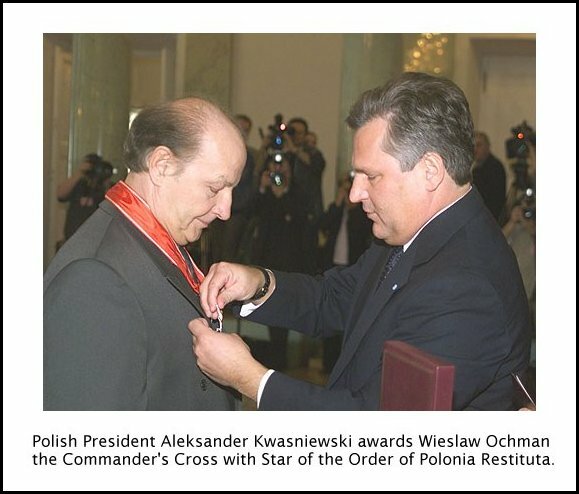 He has been awarded numerous distinctions, including Commander’s Cross of the Order of Polonia Restituta [see photo above]. He is a member of Polish Academy of Arts and Sciences as well as doctor honoris causa of the University of Science and Technology in Kraków and of Józef Ignacy Padarewski Academy of Music in Poznań. 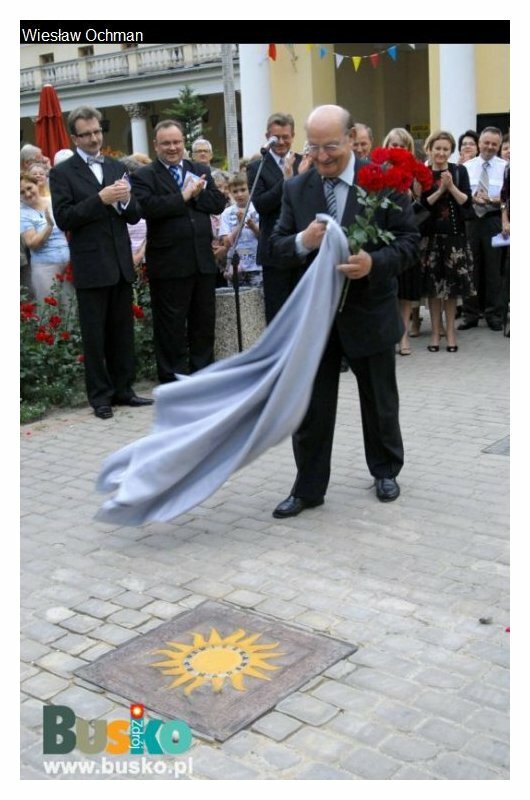 He was honoured by the authorities of Zawiercie which named one of the roundabouts after him. This interview was recorded in the studios of WNIB on October 10, 1980. Segments were used (with recordings) on WNIB in 1987, 1990 and 1997. The transcription was made and posted on this website in 2013.